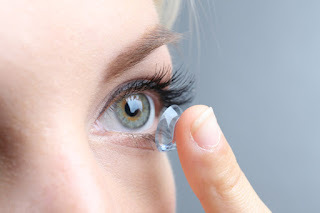 Ciba has supplied our office with a large amount of trial lenses for our patients to try out, so if you are interested either call or walk in so we can get them to you. Some patients will need to schedule an appointment with the doctor, but the majority will just need a verbal approval from Dr. Bladh in order to try them out (it's still a medical device so we have to make sure you're able to wear them). A large majority of our athletes are ordering these or the everyday regular patients are starting to mix them in with their year supply just for the convenience factor. Either way, it's an extremely comfortable contact lens and worth looking into. We've always been loyal to the patient and not necessarily the brand, so we make sure and offer the best product available and let the market decide what they prefer.